Don’t be deceived by these common myths about orthodontics. Wearing braces at a young age can be a painful experience. However, many adults with straight teeth owe their perfect smiles to their parents who sought orthodontic treatment for them at a young age. If you do not fall into this category, you are not alone. Did you know that 1 out of 5 orthodontic patients are adults over the age of 18? People decide to go to an orthodontist later in life for many reasons. They may feel embarrassed to open their mouths or smile because of the crooked teeth or an overbite or underbite, and realize it’s detracting from their appearance. But more often, it’s the health problems that go along with the condition that impel people to their dentist. 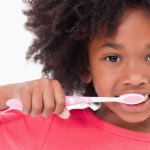 Myth: My family dentist could straighten my teeth. Fact: A family dentist does not have the necessary training to do the job. 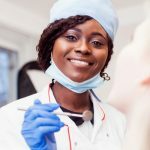 An orthodontist must complete 2-3 years of specialized training after dental school, which prepares him/her to straighten teeth and ensure proper function and form. An orthodontist has knowledge of a full range of tools, including braces, clear aligners, and other devices. An orthodontist’s experience means that he or she can differentiate between a complicated problem and an easy one, and always know what to do in either case. Myth: Braces have to be tight (and will usually hurt) to work. Fact: In the past when people went to straighten teeth at a clinic, having braces on proved painful. But now, thanks to improvements in the materials, patients experience significantly less discomfort or none at all. 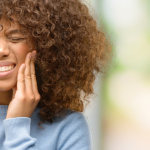 Although many people are under the impression that for braces, the tighter the better, the truth is that too much tightness is bad for your teeth. It won’t speed up the process. So get comfortable…your orthodontist will put your braces on exactly the way they need to go, and it will take time, but you’ll end with a beautiful result. Myth: Braces present a permanent solution. Fact: The truth is that braces are the first step to a solution for patients. 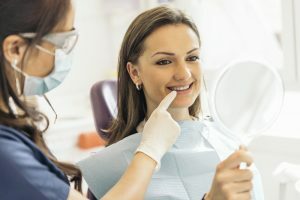 Recall that an overbite/underbite is first and foremost a health problem. Problems with alignment arise from natural forces that will continue to affect patients throughout their lives. For this reason, many people use retainers at night to help maintain straight teeth after their braces are removed. Straighten Teeth at Clinic for Less. 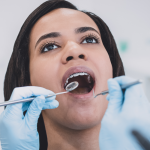 Orthodontics cost a lot of money, which is the primary reason why people will often avoid getting their teeth straightened for as long as they can delay. But what if you could get orthodontics treatment for a price that is significantly lower than the norm? Penn Dental Medicine offers orthodontic treatment at reduced cost by operating out of a dental school. To learn more, start the application process or call us at 215-898-8965 today.